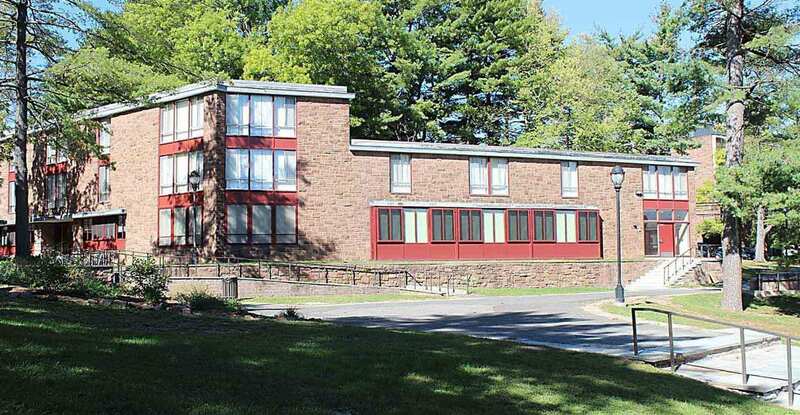 Originally constructed in 1965 on the campus of Wesleyan University in Middletown, Connecticut, the Butterfield Complex encompassed 166,000 gross sf in three separate dormitory buildings connected by underground tunnels. 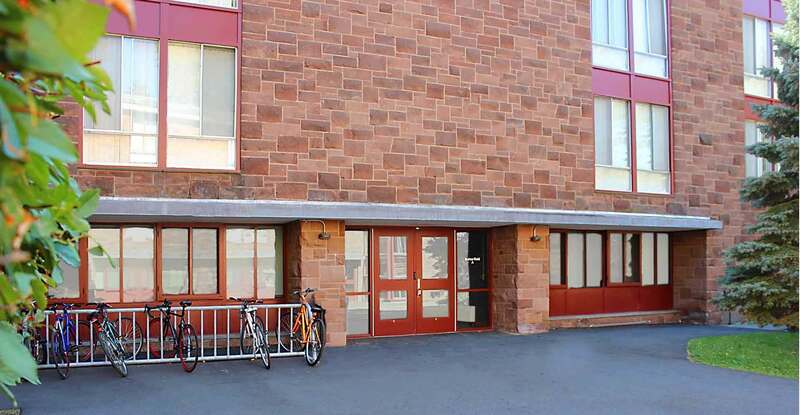 Combined, the masonry and steel buildings (referred to as Butterfield A, B, and C) accommodated 400 students as well as spaces for classrooms, administration and recreation. 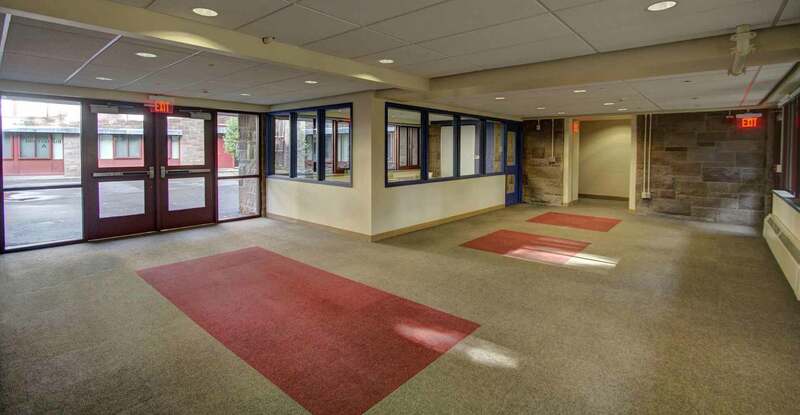 Kenneth Boroson Architects was commissioned to create 60 additional dorm beds through the renovation of approximately 24,000 sf of existing classroom, office and lounge space on the ground floors of each building. During schematic design, our firm presented an option to enclose three exterior loggias to create new common space for students and staff. This allowed the residential area to be reconfigured, resulting in a total of 93 new dorm beds rather than the 60 originally requested. The inclusion of 33 additional beds was enthusiastically embraced by the University. In order to serve the new bed count, the design included twelve new bathrooms and three new powder rooms. New student lounge spaces with ADA-compliant bathrooms were also provided, as were new accessible routes throughout the first floor. 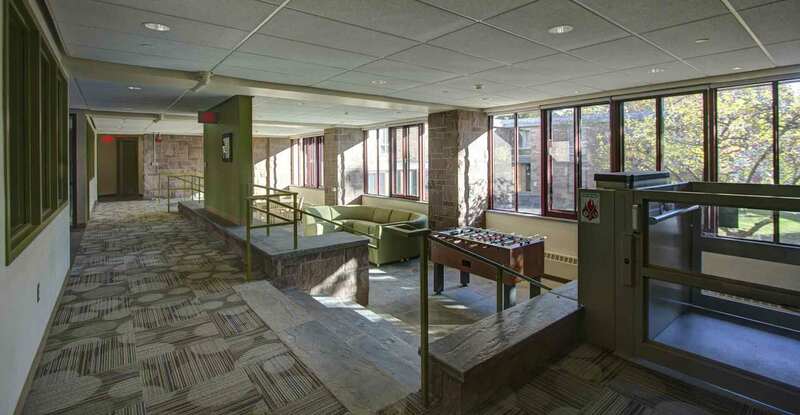 Originally, only one kitchen and laundry area served all three residence halls. 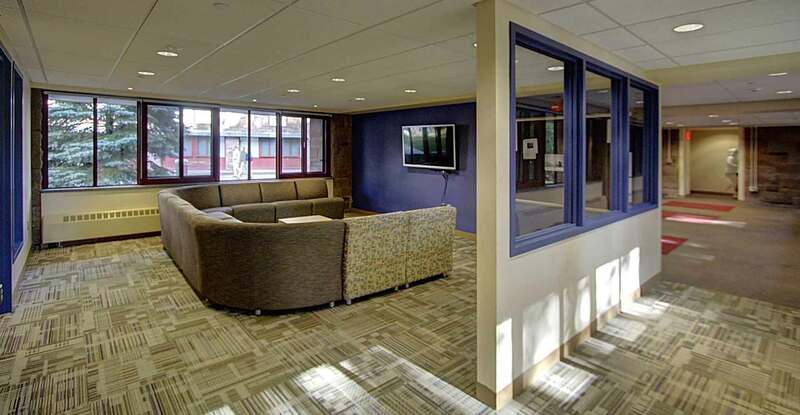 Now, the complex includes three new kitchen and laundry areas to better serve students. Also incorporated into the project scope was the addition of a new 2-bedroom Area Coordinator apartment. 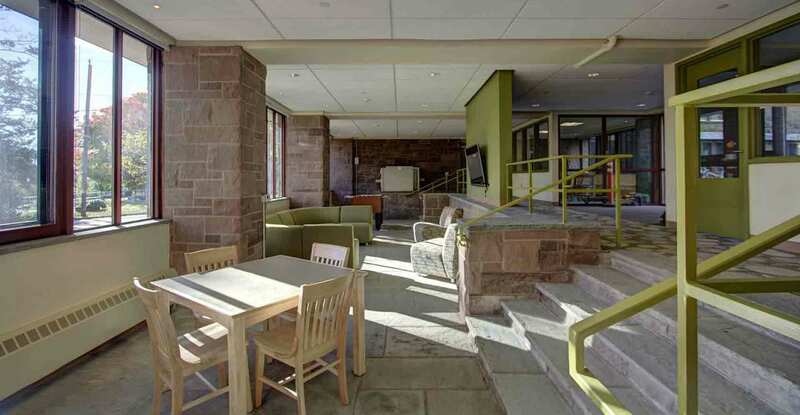 This fast-tracked project, designed to LEED Silver equivalency, was designed and substantially completed in 10 months at a cost of approximately $4.95 million.